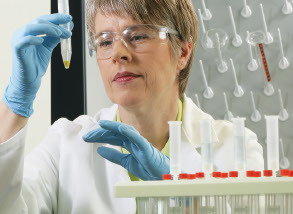 Sample preparation is critical to master molecules extraction from biological samples. Bertin Instruments offers efficient and flexible Precellys homogenizers for grinding any samples prior to analysis. A practical solution for homogenising and emulsification for the laboratory or industry. Easy to handle, with the ability to achieve quality results fast. Interchangable attachments mean you can choose the perfect combination for your application. Omni offer a complete portfolio of homogenizers and reagents for sample preparation in pharmaceutical, life science, biotechnology, agricultural, microbiology and chemical research laboratories. These include rotor-stator, ultrasonic, and bead mill homogenisers to provide a broad range of solutions to process any sample.